09.30 meet at The Old Barn, Twyford Wharf, OX17 3JN (Twyford Wharf Narrow Boats), parking available and walk on down to King’s Sutton Lock and see what’s to be done. Painting of the lock beams, etc. Clear the pile of debris over the sluice gate and either burn or load into CRT work boat. Currently one is sitting by the lock for this purpose. Our next project, hopefully, will be to ensure that the path form Banbury lock going South is cleared of vegetation and in some places it will need new surface. Cropredy lock is also in need of some attention. If anyone would care to suggest any other areas where an uplift is needed please do let me know. 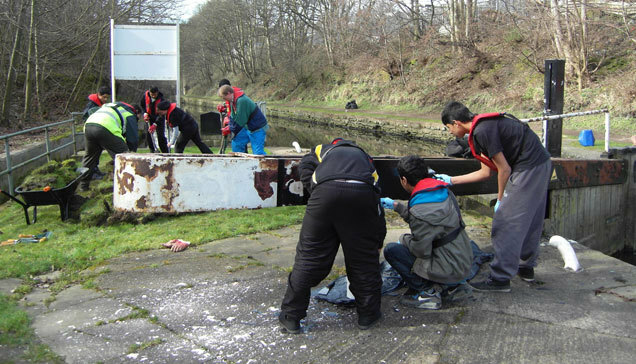 The next Volunteer Day will be on Tuesday 27th May and where we are will depend on how we get on at King’s Sutton Lock. Please note that we do have a Banbury Canal Partnership Towpath Taskforce page on Facebook where we can communicate with one another and post items, photos, etc. as well as this web site.